Although not an everyday question, at times those who are attorneys-in-fact—the authorized agents appointed in an individual’s power of attorney—inquire about their abilities to amend a trust. Valid power of attorney. In North Carolina, a valid power of attorney requires the creator to be of sound mind and under no influence or pressure from another party, the signature must be witnessed, and the document must be filed with the county. There are several types of powers of attorney and you will need to review the terms of the document. Powers of attorney may limit an agent’s authorities, and one of these limitations may be trust modification. Additionally, appointed agents have legal responsibilities and may not make amendments that benefit themselves personally. 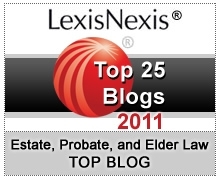 The power of attorney must expressly state that the agent has the power to amend a trust. Type of trust. Every trust has its own set of terms and must expressly state that an attorney-in-fact has permission to modify the trust. Irrevocable trusts may not be modified—and as the name explicitly states—or revoked. Certain circumstances permit a court order to grant otherwise. As explained above, these situations are not conditional on a single variable. Many requirements must be met in order for a power-of-attorney to be a reliable tool for trust modification. If you want to ensure that the type of trust you have or plan to establish will offer an attorney-in-fact the authority to amend the trust terms—or if you want to structure the trust so that no one other than yourself has this authority—check with your North Carolina estate planning attorney.